This spacious, highly luxurious castle is the perfect fit for any God - Greek or Norse. Located in the heart of Asgard, this superb castle is close to major shopping centers and is only a hammer's throw from excellent public transportation, the Bifrost Bridge. 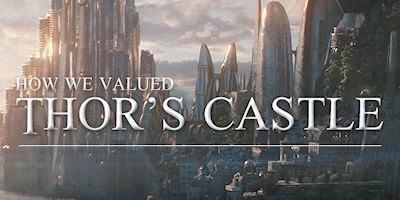 Since Thor is coming out this week, Movoto thought they would take a look at our favorite Avenger's castle in Asgard. It's not easy putting a price tag on a castle from a different world, but they did.